Ernesto is a key player in high-profile real estate and public financing transactions across the Midwest, advising clients on developments that impact the local landscape and economy. He counsels developers and public bodies on all aspects of development, from land acquisition through the construction and leasing of commercial, industrial and residential properties. Ernesto regularly counsels clients on public financing tools and incentives, such as tax increment financing (TIF), tax abatement, community improvement districts, transportation development districts, and state and federal tax credits. He also negotiates commercial, office and industrial leases for landlords and tenants. 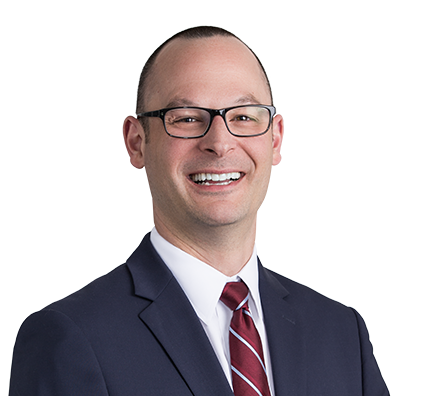 Applying his broad knowledge of real estate transactions, Ernesto brings value to clients by drafting state legislation and assisting in its refinement and passage. Additionally, he represents public bodies in the development of professional sports franchise facilities, focusing on the negotiation, adoption and implementation of public financing incentives. In addition to assisting clients, Ernesto plays a key role is recruiting new talent to the firm as the Chair of the firm’s Executive Recruiting Committee in St. Louis. He also is a member of the firm’s Diversity, Equity & Inclusion Council. Ernesto and his team represented NorthPoint Development in the acquisition and redevelopment of a stalled, 165-acre industrial logistics center embroiled in multimillion-dollar litigation. The team unwound existing public financing incentives and negotiated and implemented new public financing incentives, including real property tax abatement and New Markets Tax Credits (NMTC). The Hazelwood Logistics Center NorthPoint was a front-to-end massive undertaking that spanned several years. The St. Louis Business Journal awarded the project the 2018 Building St. Louis Award in the Public/Private Project More Than $10 Million category. Advised St. Louis-based developer on negotiation and adoption of public financing incentives such as tax increment financing (TIF), brownfield tax credits and other state tax credits for redevelopment of former automobile manufacturing site into more than 2 million square feet of retail, office and industrial uses. Represented client in multiple New Markets Tax Credits (NMTC) financing transactions for buildings in major industrial park in Kansas City, Missouri. Represented industrial developer in acquisition and development of 1.3 million-square-foot logistics optimization center leased to General Motors, including negotiation and adoption of real property tax abatement and creation of transportation development district to assist with financing and construction of related public improvements. Advised developers on numerous tax increment financing projects in Missouri, Illinois and Nebraska ranging from $5 million to $90 million in approved TIF funding. Retained by owners of St. Louis Blues NHL franchise to structure and negotiate governmental incentives provided by City of St. Louis to support first phase of $140 million renovation of Enterprise Center, home of the Blues and a major downtown entertainment venue. Representation involved negotiation, adoption and implementation of public financing tools such as municipal revenue bonds, Community Improvement District sales tax and successful defense of litigation challenging the constitutionality of public financing. Represented developer in public financing for a new office tower, which consisted of $202 million Chapter 100 bond financing and $18.5 million transportation development district bond financing. Represented Fortune 100 publicly traded company in development of 225,000-square-foot facility costing in excess of $70 million. Financing included nearly $22 million of Missouri BUILD bonds, Chapter 100 bond financing and sales tax abatement. Counseled landlord in negotiation of office leases in 750,000-square-foot office tower. Counseled lenders and developers on real estate due diligence and title insurance matters in more than 30 states. Represented privately held company in all real estate aspects of $95 million sale of corporate assets, including six separate river terminals (fee-owned and leased property) in multiple states. 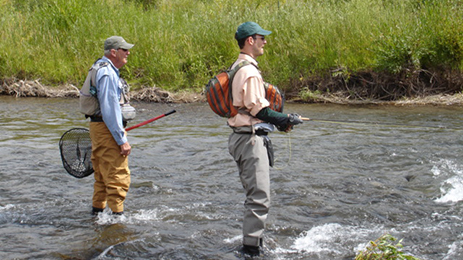 Ernesto enjoys hunting, fly-fishing and trying new restaurants. He is particularly proud of completing the Wyoming Cutt Slam, catching all four subspecies of cutthroat trout native to Wyoming rivers over the course of multiple trips to the state. He reported his catches to the state Game and Fish Department, which awarded a certificate as proof of his accomplishment. As foodies, Ernesto and his wife love trying new restaurants. They venture out with their three children to establishments in St. Louis to discover the latest food crazes. He also enjoys cooking at home. Ernesto volunteers to help make hospital stays for children more fun and less fearful. When his nephew spent a month at St. Louis Children’s Hospital, Ernesto saw firsthand what a hospital can do for patients and their families. He and his wife joined the hospital’s Young Friends group and assist with the fundraising event Cocktails and Clowns. The money raised allows doctors and nurses to enter the hospital rooms dressed as clowns, helping kids form positive associations with hospital staff. As a member of the firm’s Diversity, Equity & Inclusion Council, Ernesto tackles the challenge of increasing diversity among attorneys. The immigrant narrative is central to Ernesto. He was raised with the ethos: You work hard so you can provide more for your family. He strives to do the same but recognizes that not everyone has success modeled for them. Ernesto is pleased that the firm takes a role in identifying opportunities for people who may not know they exist. For example, the firm has established programs in which Husch Blackwell attorneys engage with high school students from minority areas and bring them to the law firm to meet attorneys and hear about their jobs. The students participate in negotiation exercises where they see attorneys in action and realize that they also have the potential to do that kind of work. The firm also prides itself on its direct outreach to law student groups at local universities, where the next generation of diverse lawyers can seek advice and mentorship from Husch Blackwell attorneys.